In the context of cosmetic surgery, 2016 was all about facial rejuvenation, says the President of the American Society of Plastic Surgeons (ASPS), Debra Johnson, MD. ASPS statistics demonstrated a 3% growth in cosmetic enhancements over the last 12 months, as well as trends in fat grafting for face and body sculpting. “One trend we are seeing with fat involves an increase in fat grafting procedures. Plastic surgeons harvest a patient’s unwanted fat from their abdomen using liposuction and then inject it to lift and rejuvenate other areas such as the face, buttock and even the breast,” said Dr. Johnson in a press release. 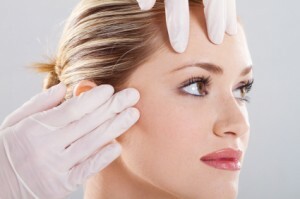 She added that a patient’s own fat, compared to traditional hyaluronic acid dermal fillers, generally lasts longer. Facial fat injections, also known as “microlipoinjection,”are remarkably effective at reducing the appearance of frown lines, marionette lines, hollows under the cheeks and eyes, as well as plumping up wrinkles and deep furrows. Patients reap dual benefits from using their own adipose tissue for contouring and rejuvenating purposes: Removing unwanted fat from stubborn areas to another body part that needs extra volume. According to 2016 ASPS statistics, there was a 13 percent spike in minimally invasive cosmetic fat injections, a 26 percent increase in fat transfers for buttock augmentation, and a whopping 72 percent rise in fat grafting for breast augmentation. With the advent of fat injections, dermal fillers, photofacials, Ultherapy and other minimally-invasive facial rejuvenating treatments, patients have many options for reducing the wear and tear that comes with age and sun exposure. However, the recent stats also show an uptick in facelifts as well, which offer longer lasting results and may be indicated for those with sagging jowls and noticeable skin laxity. Last year, an estimated 131,106 facelifts were performed in the U.S., marking a 4 percent growth from 2015. In 2016, Botox injections, laser hair removal, microdermabrasion, chemical peels and facial fillers were the top 5 most performed minimally-invasive treatments, which are increasingly popular among Millennials and Generation Xers, who are using them to ward off signs of aging. At the Manhattan plastic surgery office of Dr. Thomas W. Loeb, we treat patients of all generations and life stages who are looking to address specific concerns. Dr. Loeb has decades of expertise in all aspects of plastic and reconstructive surgery, and features the latest innovations in non-invasive anti-aging treatments. To schedule a private appointment with Dr. Loeb, we invite you to call today.